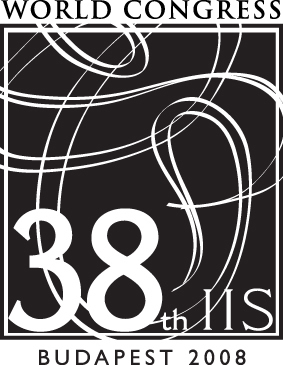 The 39th IIS World Congress will be held in Yerevan, Armenia on June 11 - 14, 2009. The theme of the congress is "Sociology at the Crossroads". Further changes will be announced directly at the congress venue. Since its foundation in 1893 the International Institute of Sociology (IIS) has played an important and at times crucial role in the international world of social science. The IIS was created as a forum for discussions among scholars whom we now think of as classics of sociology and social science. They shared a sense of urgency about social conditions but also a conviction that systematic inquiry would make human beings more able to grasp and overcome them. They also shared a belief that scholars from different nations and different theoretical traditions can form an international community and engage in intellectual contestation and dialogue while remaining respectful of each others diversity. In recent years the IIS has increasingly come to play a role analogous to that of its early years. Thus the four previous World Congresses of the IIS have highlighted dilemmas of human existence and societal institutions amidst processes of globalization, cooperation and violent conflict. They have done so in the spirit which guided the formation of the IIS, namely that of an engagement and encounter between a variety of theoretical positions among members of a truly international community of scholars. The character of the IIS as a community of scholars and not a union of professional associations may be helpful in this endeavour. It also makes it clear that the IIS plays a complementary rather than a competitive role relative to its younger but larger sister institution, the International Sociological Association (ISA), of which IIS itself is a member and with which IIS is engaged in close and friendly interaction. Thus it is an honour and a delight that the President of the ISA will once again attend and contribute to the World Congress of the IIS. It is also a delight that former Presidents of the ISA choose to do the same. The Congress is co-organized and co-funded by Central European University (CEU), Budapest and Swedish Collegium for Advanced Study (SCAS), Uppsala, a collaborative arrangement that could not have worked out more smoothly and pleasantly. It is a delight for us to welcome you to a Congress that promises to set landmarks for the further development of sociology and the social sciences at large.